Redefining the path to rehabilitation. Stroke is one of the leading causes of long-term adult disability in the United States, affecting nearly 800,000 people each year . Research suggests starting rehabilitation within the first two weeks of stroke is beneficial to patients . Redefine what recovery means to your patients. Our comprehensive suite of stroke solutions, coupled with our commitment to innovation, is redefining the path to rehabilitation, providing therapists better tools, better care, and better outcomes for their patients – from head to toe. 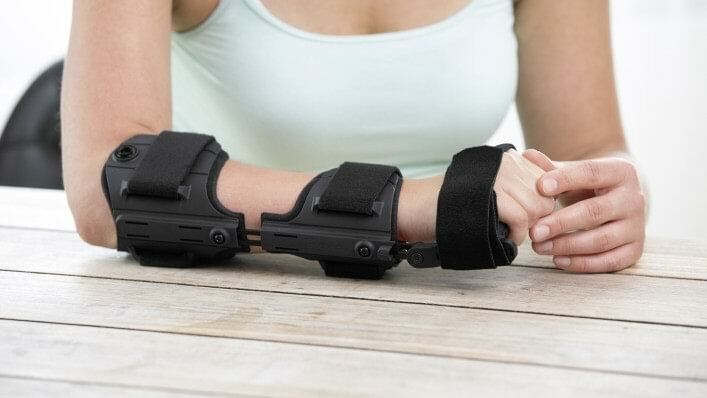 Ottobock’s full upper extremities solutions provide support for the shoulder, elbow, wrist, hand, and fingers to promote rehabilitation post-stroke. Wearing the Omo Neurexa Plus and the Manu Neurexa Plus together better repositions the shoulder to work against spasticity, and adding the Palmar Splint provides additional support for the hand and fingers. The WalkOn AFOs improve stability, allowing a more symmetrical gait in conjunction with the upper extremity orthoses. 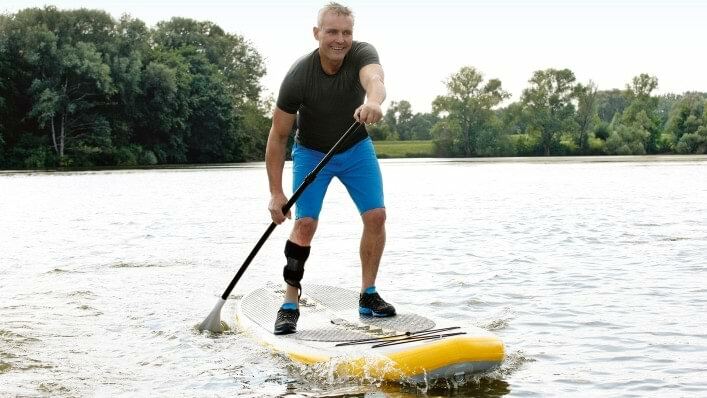 Together, Ottobock’s combined solutions increase functionality for patients, resulting in better care and improved patient outcomes. 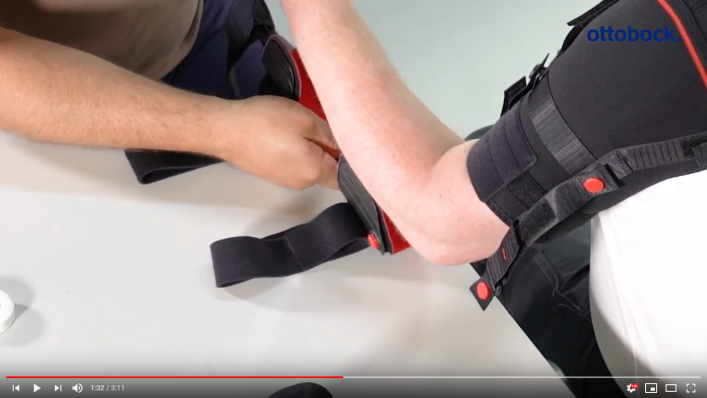 The Omo Neurexa Plus shoulder orthosis facilitates active rehabilitation for patients with shoulder pain and dislocation after stroke or injury to the central or peripheral nervous system. By correctly positioning the arm, the Omo Neurexa Plus inhibits pathological movement patterns, improves body posture and gait, and can even help to reduce pain. Colored snap fasteners allow patients to easily don and doff the orthosis themselves with one hand. The Manu Neurexa Plus wrist orthosis sets a new standard for patients who need more support or control over their wrist, hand, and fingers due to paralysis after stroke, intervertebral disc prolapse in the cervical spine, brachial plexus injury, or spasticity up to grade 1 on the Ashworth scale. By stabilizing and supporting the wrist and hand in a natural, neutral position, the Manu Neurexa Plus encourages improved mobility through active rehabilitation. 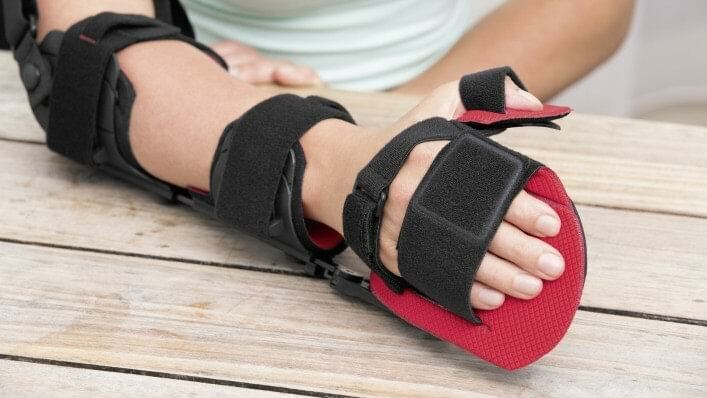 The Palmar Splint is an adaptable hand support that provides additional assistance for the hand and fingers, especially during therapy or as a night positioning orthosis. 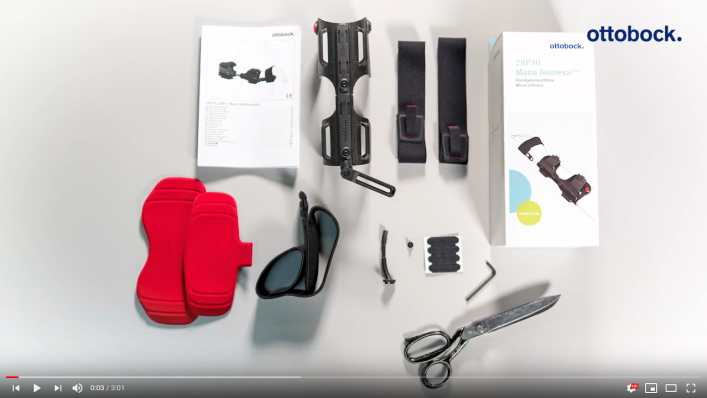 The tool-free click system easily connects to the Manu Neurexa Plus wrist orthosis. 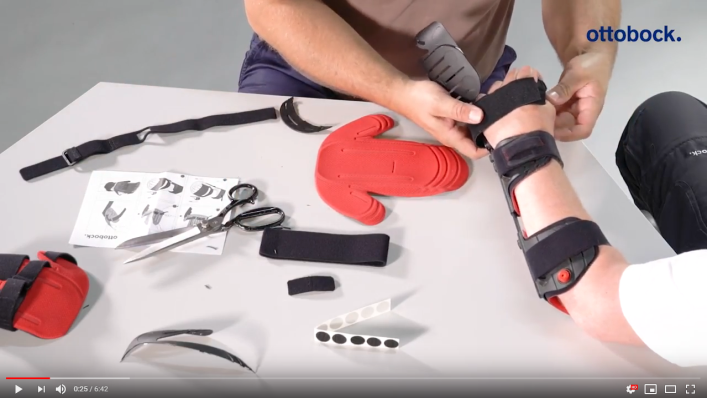 The adaptable splint can be customized to each individual patient, and universal sizing cuts down on inventory and overall costs. Our WalkOn family of AFOs improves stability for patients with drop foot, allowing a more natural and symmetrical gait with fluid rollover and high energy return. Utilizing a dynamic design and carbon fiber construction, all WalkOn AFOs are lightweight, low-profile, and durable. Our range of WalkOn products allows you to provide a customized solution to meet individual patient needs. With trimmable footplates that can be shaped with scissors, WalkOn AFOs are extremely easy to fit, often requiring only one office visit. Thank you for your interest in Ottobock. If you are a medical professional interested in a stroke product sample, please provide the information below. We will promptly follow up regarding your request. Questions or comments? Reach out to us anytime.